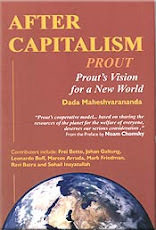 Prout - Alternative economic model for Capitalism and Communism: Keshe flying by car? Keshe already told in 2011, that he was planning to show the flying car, but according to him he was not allowed, because he didn't have driving license! Then in 2013 a video appeared claiming Keshe is already flying by car? ; https://www.youtube.com/watch?v=oBAcRbOkS6. Now Oct 16 th 2015 Keshe told in few weeks he will introduce the flying car. Keshe ab the Second sun; https://www.youtube.com/watch?v=uPiDi1OeOiA. He says we have 2-30 years time to exist in this planet, then we have to move out. Luckily Keshe has the flying car ready then so we can fly to other planets! If you want to know more in 31.40; https://youtu.be/XvWOzUvoUqo?t=31m40s. Recently Keshe also predicted that North and South America will "split" by mega quake and mega tsunamis could kill 40 million people Oct or after in 2015. Interestingly before that date millions of people across US and Canada took part in "the Great Shake Out" emergency response drill to a major quake. https://www.youtube.com/watch?v=cF-NCaipAAw. Dutchince takes his earthquake warnings with a bit of scepticism. 'Keshe might be right on the location, but if he's right on the magnitude, the whole planet would be shaking, like "end times" scenario. Tsunami waves would swamp every coastline around the world, cut cables, and cause hundred nuclear meltdowns'. Dutchsinse thinks there would be quake swarms, but not catastrophic activity. Let's hope Keshe's wrong! But be prepared! https://www.youtube.com/watch?v=J7XZrc_d3q4. Here is video where Keshe introduces his devices for ambassadors in exchange for peace, you may want to see whether you take it or not; 3rd Ambassador Meeting, Rome Oct 16 th; https://www.youtube.com/watch?v=eqwxKwG93Hg. His Magrav-Power System for home, produces also electricity for the grid! Keshe says 10% of the world will no longer need gas by the end of October 2015. One sceptic scientist is rather debunking it, but not all agree; #421 Keshe Plasma Reactors up & running! https://www.youtube.com/watch?v=xrBUoxLbg9c. Keshe may have tendency to exaggerate, advertise and promise faster than he can produce things, so wait and see. Besides he doesn't follow much what others are doing, he came to know about Tesla only few years ago. Keshe has also mentioned that Iran has already crafts that fly in about half hour to US and that we can fly soon to other planets before NASA. According to Wired Mr Keshe told an online forum that Iran used his “advanced space technology” and also Iran made claims about their flying saucers. While Corey Goode, Randy Cramer and others from Secret Space Program claim that NASA is already flying throughout the Solar System and beyond with their crafts. Insider Jesse claims that the U.S. has had an advanced space station in orbit since 1980's. An antigravity spacecraft Nautilus in Utah, makes trips to the space station. http://sitsshow.blogspot.com/2015/10/extraterrestrial-base-on-earth.html. All these claims by Keshe and others makes to really wander how the world could be soon different. Besides of the Magrav power systems, Keshe's nano inventions can make nutrients just by absorbing the energy from food items and he has also pain pads, pens etc. Growing food also would become easy. From the poorest African dwellers to the richest elites we would become healthy and comfortable? The governments will then loose control over us. Yes, but what is there in the other side of the coin? It is somewhat great idea that those who buy the power units has to “donate” hundreds Euros to their government and with the rest of the money African countries get free systems, but surely in Europe and some other regions the poorest countries and people don't have 800 Euro for the Magrav power system. Also many people's electricity bill is often just 10-20 euro/month, so it would take really many years to start to feel it is free energy, and before already there might be better systems existing. Now the rich and middle income people in developed countries would benefit most from it, but Keshe might solve that problem somehow. Chinese are already making cheap power units by their own. The electricity, oil etc companies and oil producing countries would suffer most. Money could soon loose its importance and exploitation would reduce greatly. I feel Keshe's inventions could speed up the on going polarization. There are those who are “great” people, called STO, and then those “naughty” ones, STS. Some people will use Keshe's nano coated systems to get into constant free drunken state, and some will get caught in free drugs. I wander what more crazy ideas people might experiment. Some fellows might use those systems even for criminal activities, poisoning others etc. Few more light headed people might just stop totally eating and get their nutrition from the magrav system. I doubt if that would be healthy situation. In Africa many would likely become lazy, useless eaters, if they suddenly got everything free; power, food, medicines. The good people will get most benefit out of Keshe's inventions, by healing themselves, using them for helping others and exploring unknown physical and spiritual realities. Anyhow if one is using the health products and systems, which miraculously cure all the ailments, one is not then able to burn her/his karma. What might follow then who knows. Keshe's life treatened; http://youtu.be/jDFR994bcjk. Keshe's releases likely caused the attack, and no wander; http://youtu.be/rtD1aqx3DiI. Keshe catches US drone in Iran; http://www.zerohedge.com/news/iran-rele ... d-us-drone. And http://www.dailymail.co.uk/news/article ... craft.html. SSP whistle blower Corey Goode told Blue Avian extraterrestials didn't heal his arm with sophisticated methods due to karmic reasons. And Corey about the polarization; negative people are becoming more so. Positive people are becoming more so and Mentally ill people are becoming more so. Corey GoodETxSG. Someone introduces Keshe Health Bottle, but one has to study first basics before making it; https://www.youtube.com/watch?v=_xjOf7iYpK0. Interstingly I made myself Keshe nano coating according Keshe health bottle instructions, but when I happen to leave the extra caustic thing in an emal pot with metal bar on it, the pot started filling in with liguid (just the bottom wet). It was scary, where the water came, may be absorbed from the air, the room was cold and damp? I might have come accords the Keshe rain catcher or something!!! The free USB Memory Stick: http://allthatstreaming.com/zip/keshe-2012-usb-stick-data.7z; Release of the USB stick which was given to governments of the world in 2012. The knowledge for production of free food, health systems, materials, energy and motion is fully given to human race, said Keshe. Many Links to Keshe USB stick for downloading. 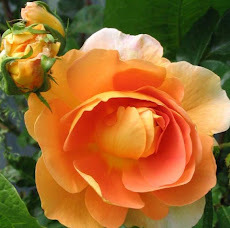 Sarkar about the structure of atom: By splitting up the atom immense energy is released. To claim that energy is obtained due to the destruction of matter is theoretical and not physically proven. In fact, the energy comes out from within the store of the atom. Energy always requires a material shelter – a container. After the destruction of the container, the immense released energy moves very fast with tremendous speed in all directions in search of some or other material shelter. Finally, it finds a way in some country, in some human physical body, in structures and other material objects scattered around, or in the ocean, etc. Matter needs a shelter, and the shelter of matter is the earth. This is the secret.